Stop using your Personal Facebook page for business! Do you have a Facebook page which is actually your personal page? Then you need to ensure that you create a Business Page now. The rules of Facebook are that you are not allowed to use your Facebook personal page for business purposes. They are clamping down on businesses who have done this, even if you were not aware that this is what you have done. It can be sorted easily though and you can create a Facebook Business page without any problem. Once you click on this link, you can then click on the ‘Get Started’ button and follow the steps. 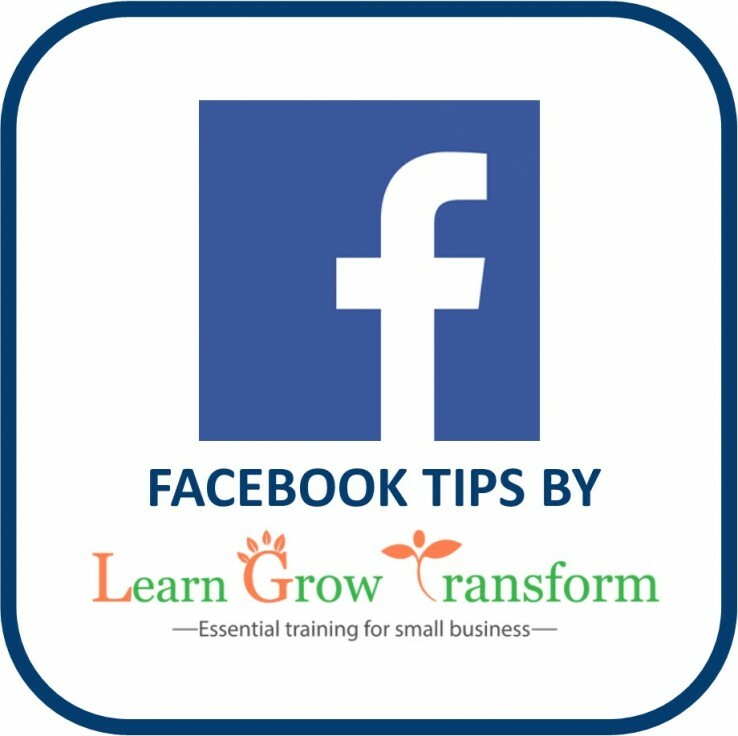 If you need help with following through with the migration of your personal profile or to get your Facebook page working for you, then please EMAIL ME to schedule a training session. GDPR – Are you less stressed now? A-Z of Marketing Must Haves in 2018 by Hazel Theocharous, learngrowtransform.com - Laurel Leaf Networking on Are you using Google My Business? Copyrights © 2019. Learn Grow Transform · Created and Managed by Fixitpress Solutions.